Easily theme-able: Bootstrap, Foundation etc. and more. Use bower to install it. 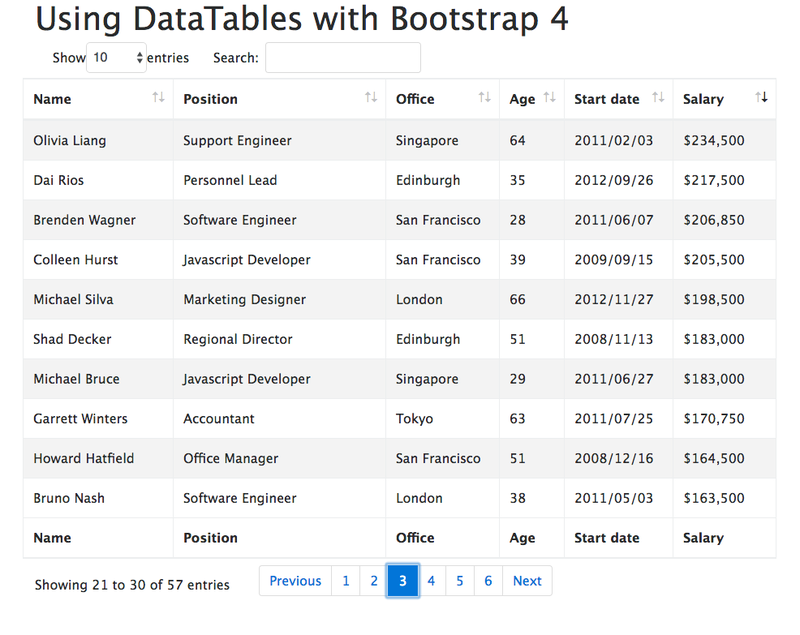 The table is copied from DataTables Twitter Bootstrap 4 example. You have to add the jQuery script to initialize the table just before the body tag ends. You will now be able to search, filter, change number of rows displayed per page and paginate through the records. In this article, you learned how to use DataTables jQuery plugin with Twitter Bootstrap 4 theme.